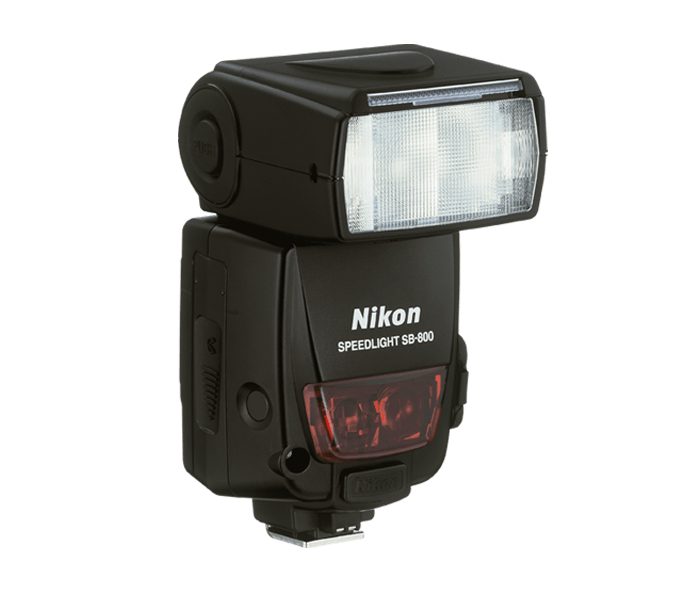 Powerful, compact and portable i-TTL Speedlight unit optimized for use with Nikon's Creative Lighting System (CLS). Nikon's most advanced Speedlight with a guide number of 184 feet (at ISO 100 at 105mm zoom-head position). Operates a stand-alone Speedlight, wireless Speedlight Commander or wireless remote unit . Advanced wireless control provides fully automatic and independent control of an unlimited number of SB-900, SB-800, SB-600 and SB-R200 Speedlights. Control as many as 3 remote groups (A, B and C) with the SB-800's wireless Commander mode without leaving the camera position. Four channel options for wireless operation prevents triggering of other Nikon CLS compatible Speedlights when working in competitive environments. Flash Value Lock provides a fixed flash output for more consistent flash output. Built-in Wide-area AF (autofocus) illuminator, compatible with every AF NIKKOR lens and all CLS compatible Nikon cameras. Flash colour information is provided for more accurate flash control. Auto FP High-speed sync for working with higher shutter speeds offering greater depth of field control. Built-in flash compensation: plus or minus 3EV in 1/3rd step increments. Bounce and swivel flash head control for more creative flash techniques and lighting effects. Press the power button for approx. 0.3 sec. to turn the SB-800 on or off. Lights up: recycled and ready to fire. Blinks: flash fires at its maximum output, indicating light may have been insufficient (in TTL Auto Flash, Auto Aperture B Flash and Non-TTL Auto Flash A operations).